Peter Mandelson: "There will be a future for the Vauxhall plants in the UK"
General Motors (GM) has confirmed that it plans to cut 10,000 jobs across its European car unit Opel, which includes the Vauxhall brand in the UK. The announcement comes a day after GM said it was cancelling its deal to sell Opel to Canadian car parts firm Magna. The 10,000 job cuts which GM now plans is broadly similar to the number Magna proposed, though the company has yet to reveal where the axe will fall. German trade unions now fear two of the four Opel factories in the country could close under the GM plan, whereas under the Magna agreement they had been given a guarantee that all four factories would have been kept going. Politicians and unions in Germany had favoured a sale to Magna as the best way to save German jobs, as it included a guarantee that no German factory would be closed. Meanwhile Unite, the main union at Vauxhall, which employs 5,500 people in the UK, said its task was to minimise the number of jobs lost, and to ensure they are voluntary. Tony Woodley, Unite's general secretary, said it was "inevitable" there would be some job losses at Vauxhall. He added that it was right that GM should hold onto the two Vauxhall plants in Luton and Ellesmere Port "because this country is one of its strongest and most loyal customers". Mr Woodley said it was now "absolutely certain" that GM will need repayable loans "from four or five" European Union nations. GM's announcement was made by its vice-president John Smith, who did not indicate where the 10,000 cuts were likely to fall. However, he said GM hoped to be able to present the details to European governments "very soon", with agreement in place with governments and unions between January and March of next year. Magna's plans for job cuts at Opel and Vauxhall totalled 10,500, including 4,000 in Germany. At Vauxhall, Unite last month reached a deal with Magna to limit any UK cuts to 600, and all through voluntary redundancies. Unite will now have to seek a fresh agreement with GM. 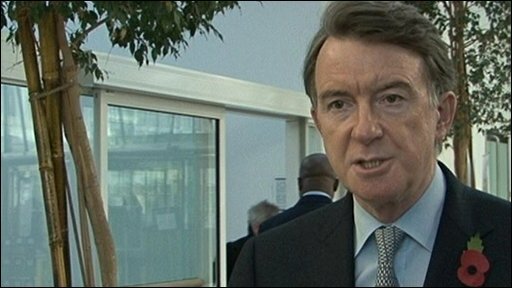 Business Secretary Lord Mandelson said earlier on Wednesday that he was keen for "very early discussions" with GM over how its plans affect the Vauxhall workers. 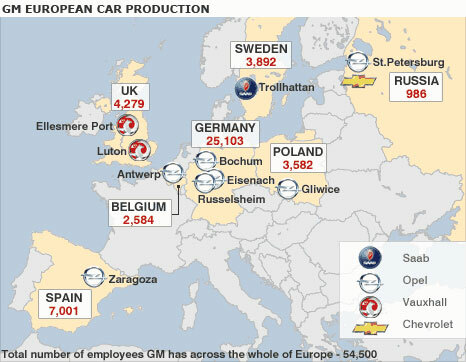 Earlier GM's decision to hold onto Opel and Vauxhall was welcomed in the UK, but sparked anger in Germany. 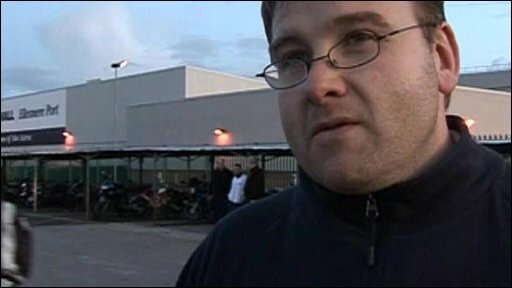 Mr Woodley, himself a former Vauxhall worker, said it was a "fantastic decision", while unions in Germany said workers would begin walk-outs from Thursday in protest at GM's decision. Mr Smith said GM would repay the German loan in full "if we're requested to do so" by Germany, saying GM had already paid back some of the funds. Juergen Ruettgers, premier of the German state of North Rhine-Westphalia, where there are fears that the Opel plant in Bochum could now face closure, called GM's decision to hold onto Opel as "the ugly face of turbo-capitalism". Mr Smith said he acknowledged that "the German government had a very strong appetite for the Magna proposal, so I can well imagine and well understand" the German reaction. "I am hopeful they will find merit in our plan," he said.